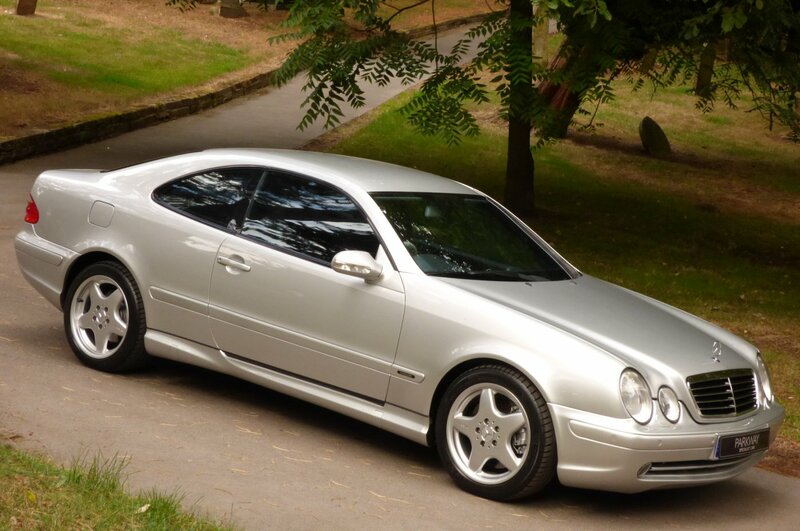 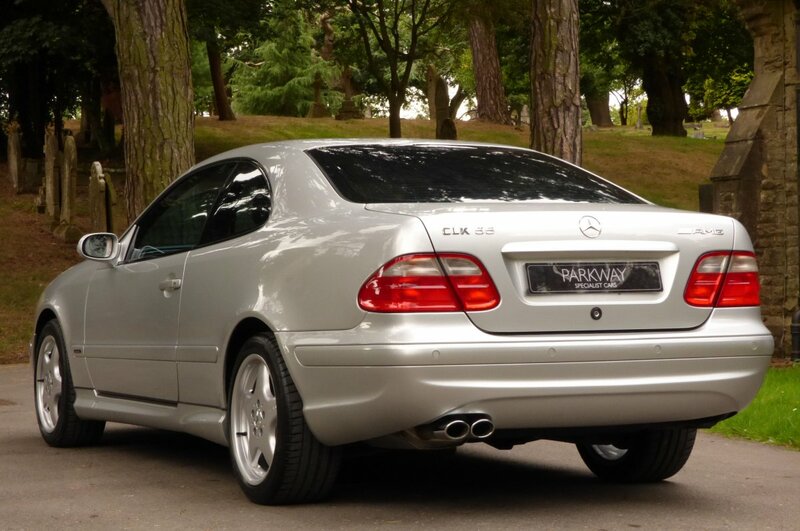 The Mercedes Benz CLK Was First Introduced In The Middle Of 1997 And Was To Be The Direct Replacement For The Then Dated C124 E Class Coupe, Which Had Served The German Manufacturer Well For Nearly Five Years, But Now A More Modern Fresh Design Was Required To Tempt New & Old Buyers Into Their Global Showrooms, Creating A New Market Niche For Mercedes Benz Franchise. 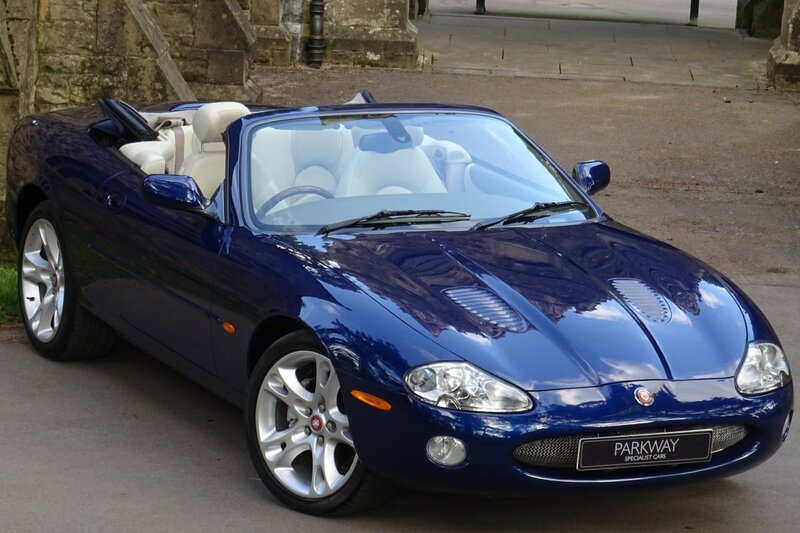 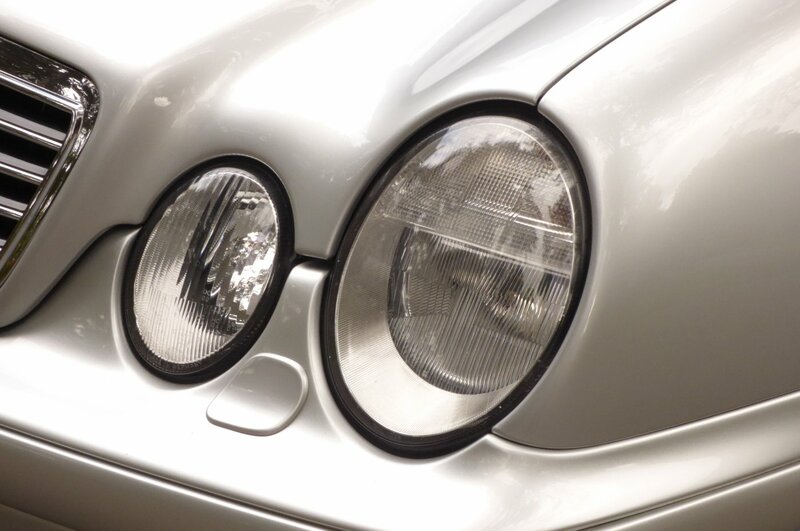 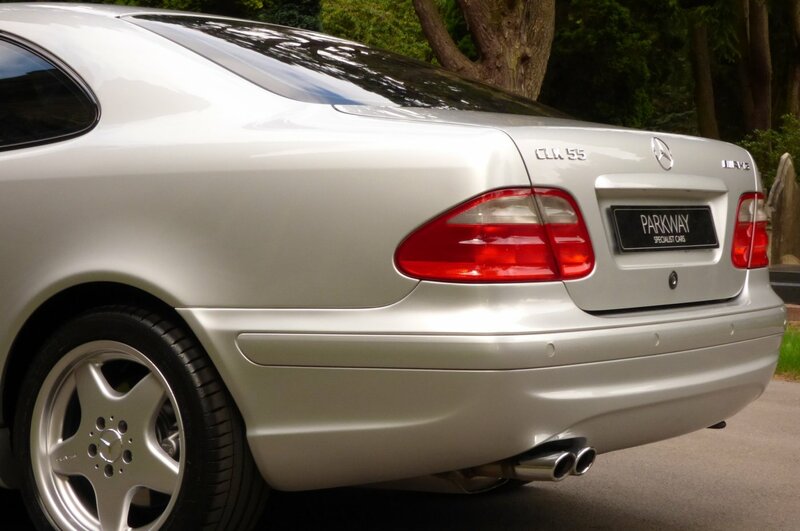 Designed By Michael Fink, The Exterior Body Had A More Elegant Flow Of Lines, Which Was Warmly Received By Both Ladies And Gents, With The New Addition Of Oval Double Front Lights, Smoother Front And Rear Bumpers And More Relevant Up To Date Technology, All Of Which Was Welcomed Well. 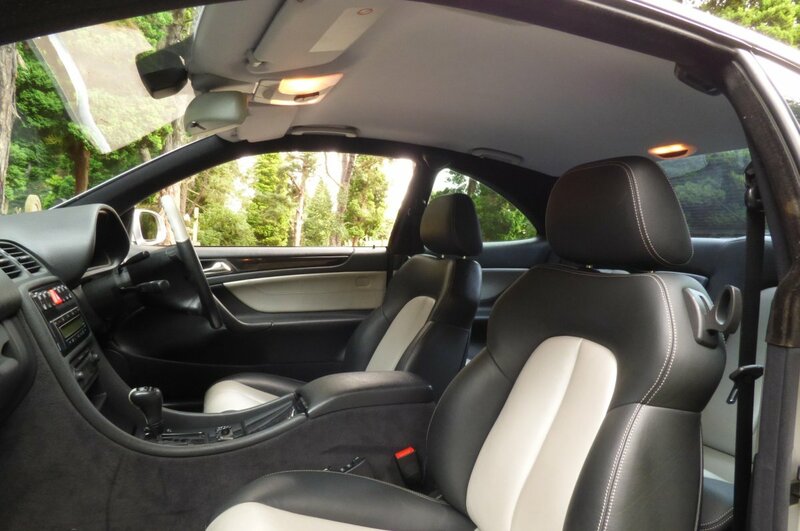 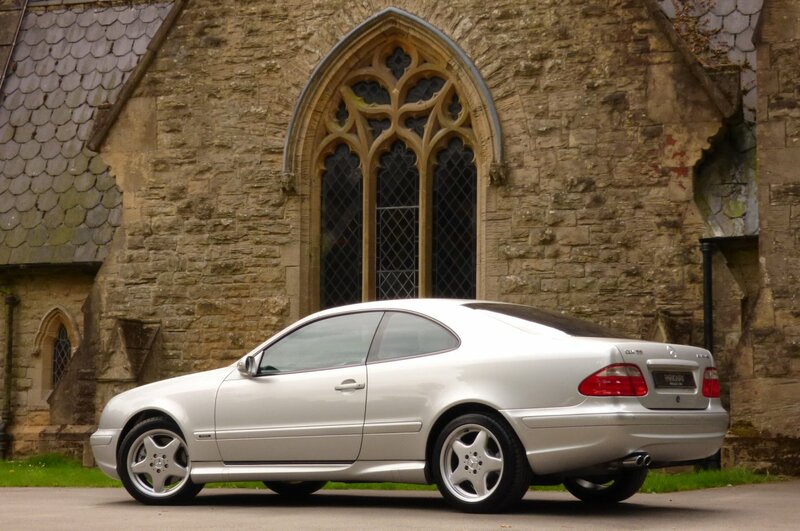 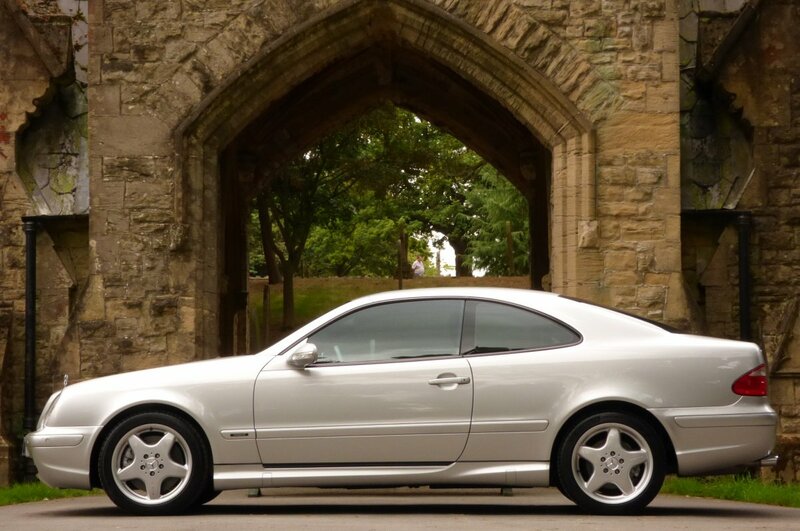 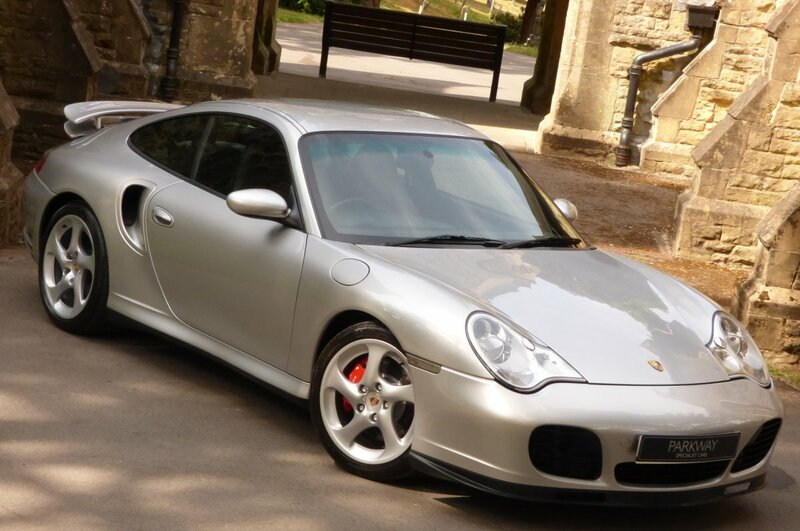 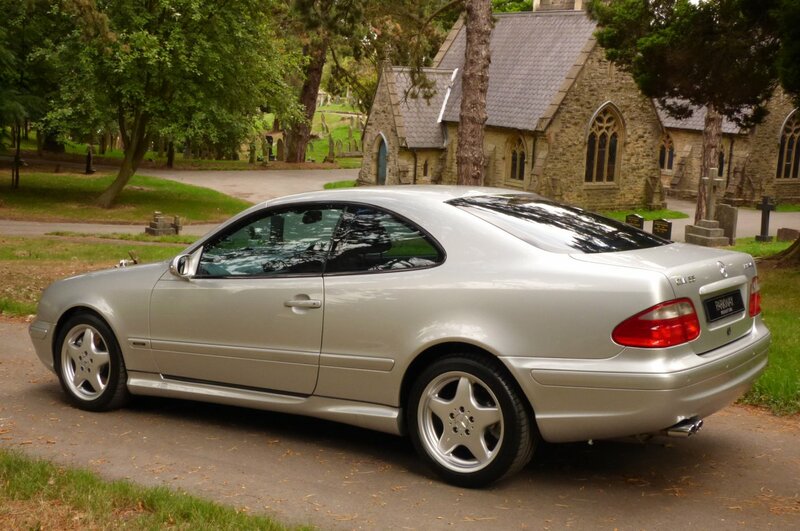 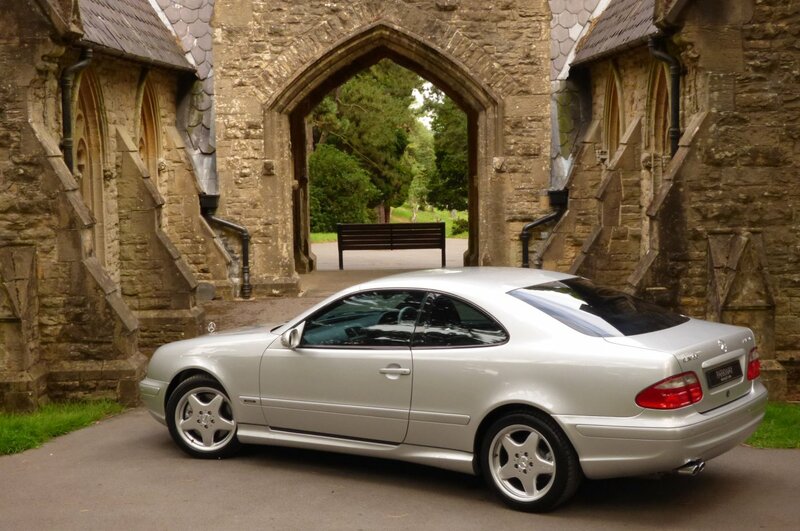 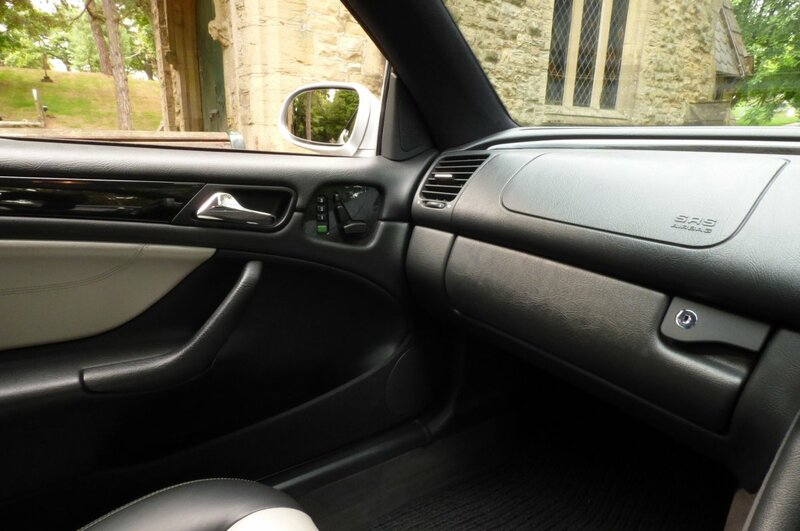 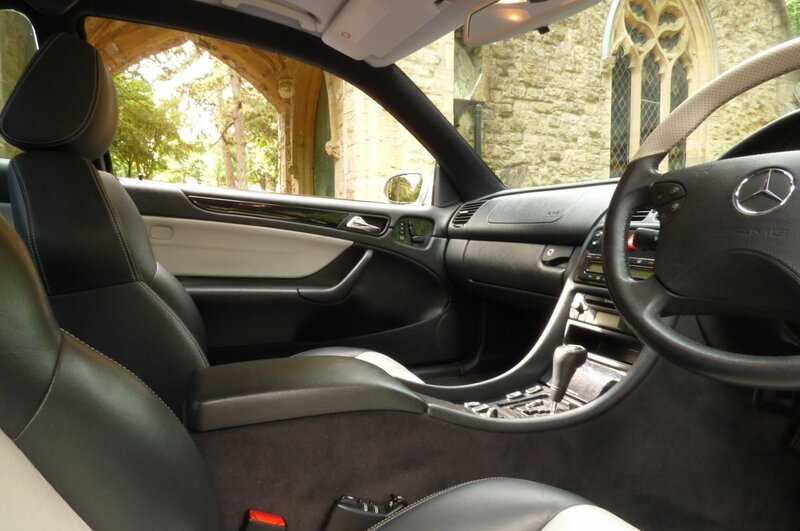 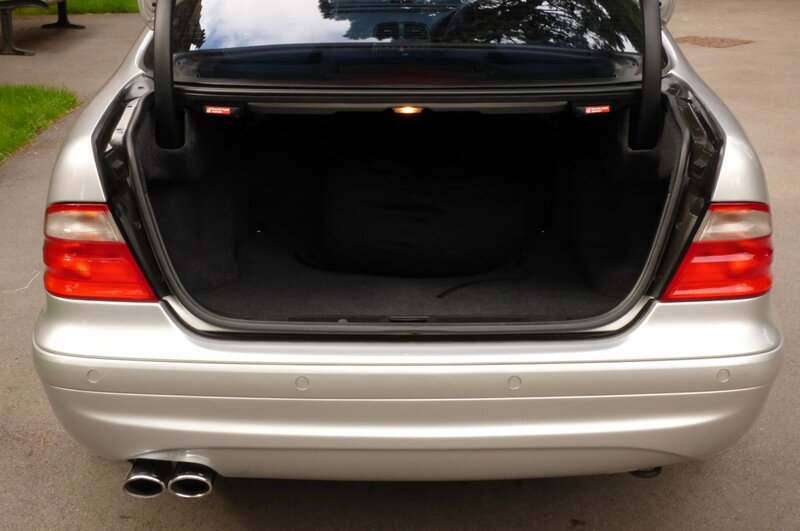 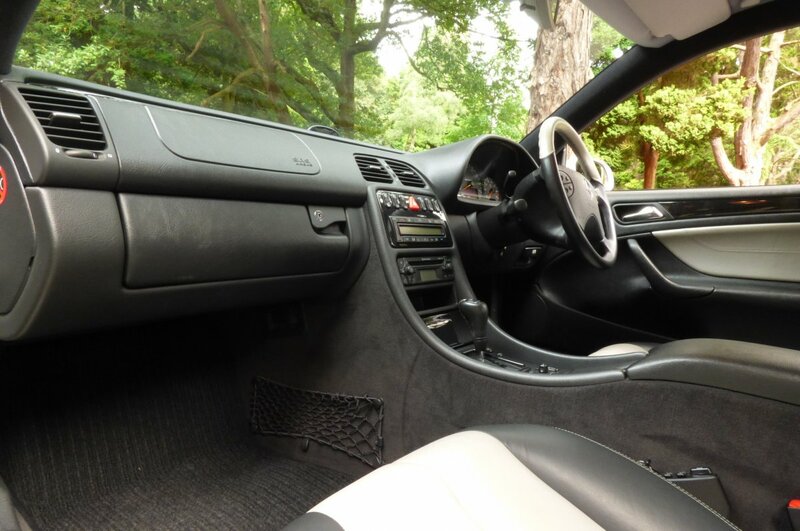 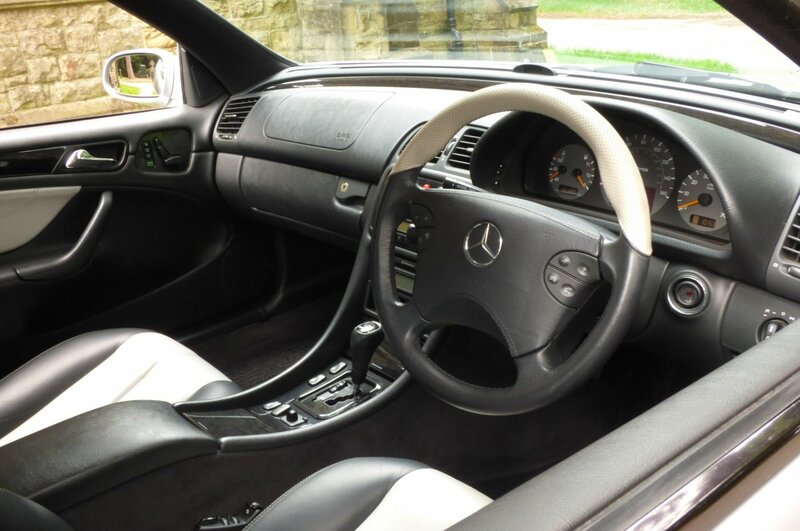 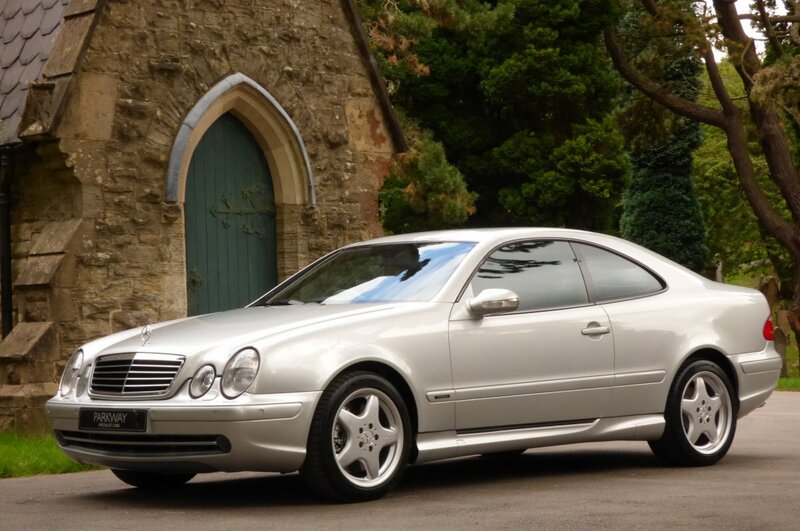 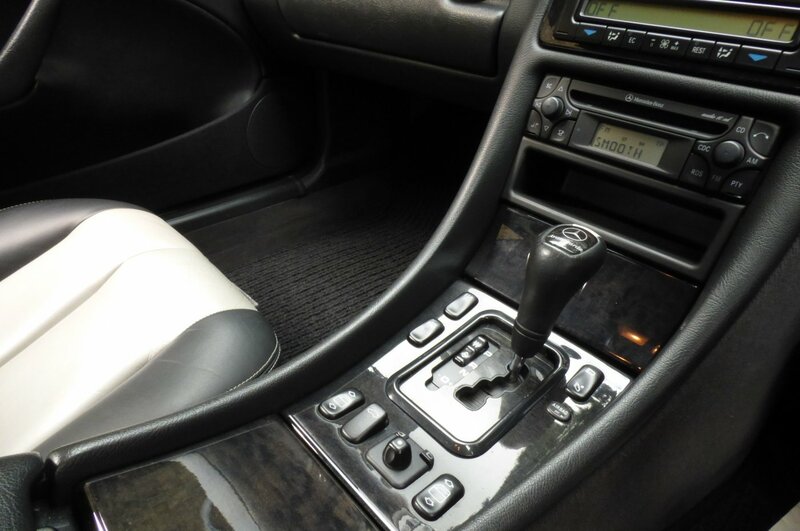 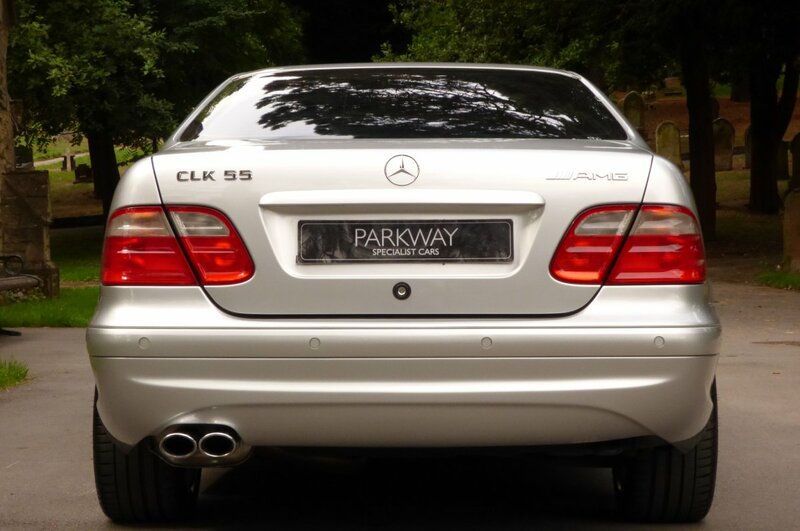 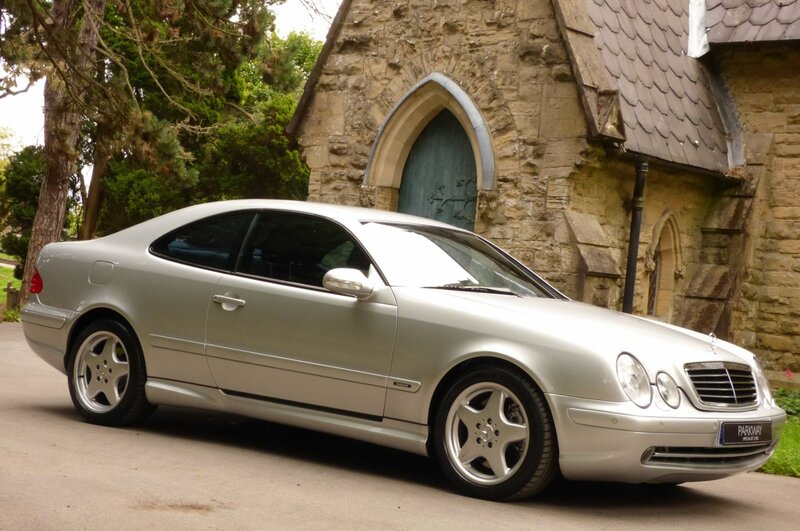 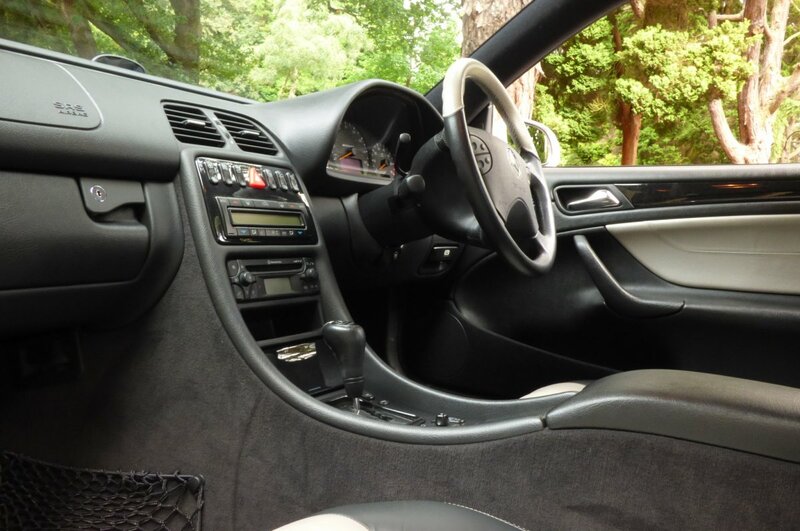 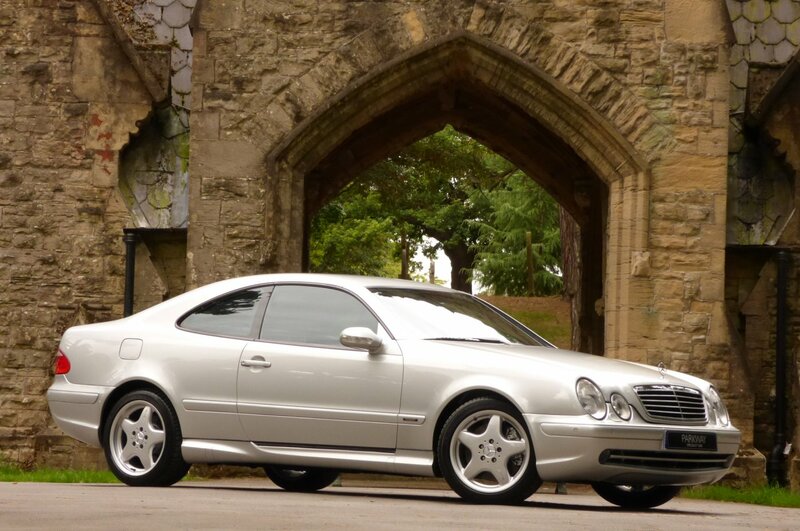 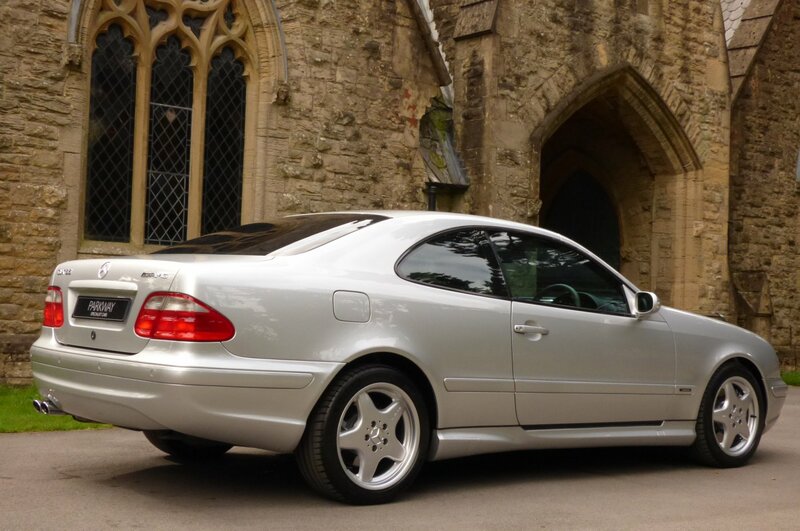 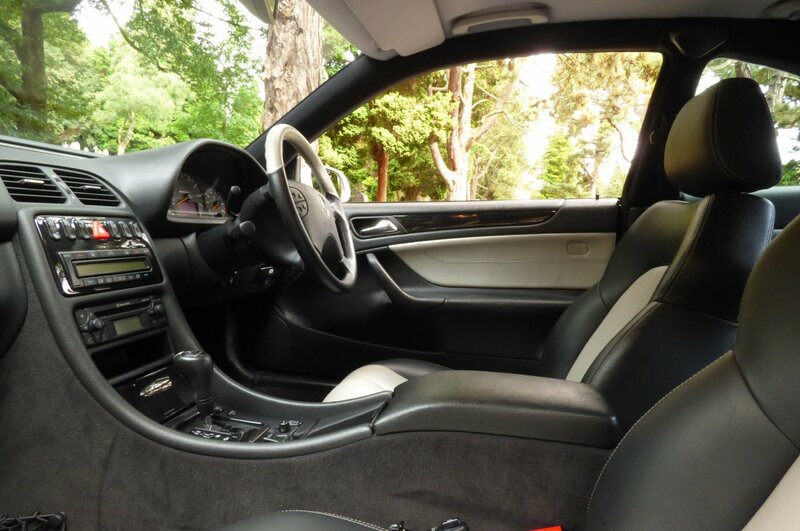 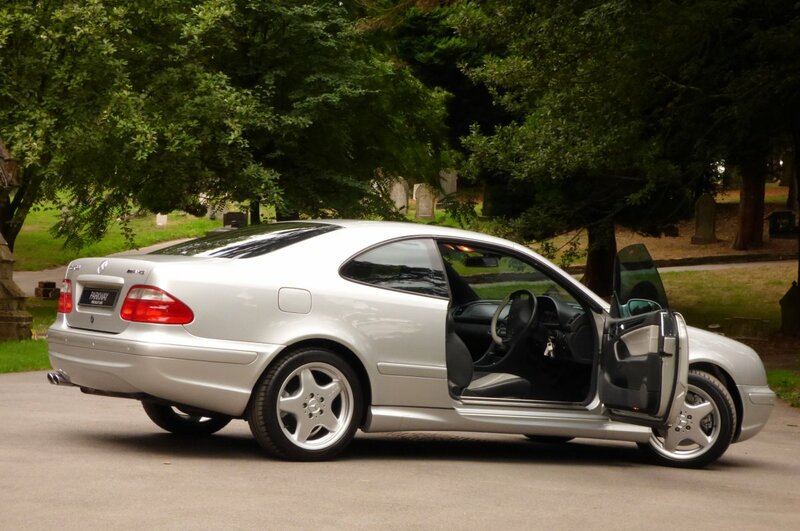 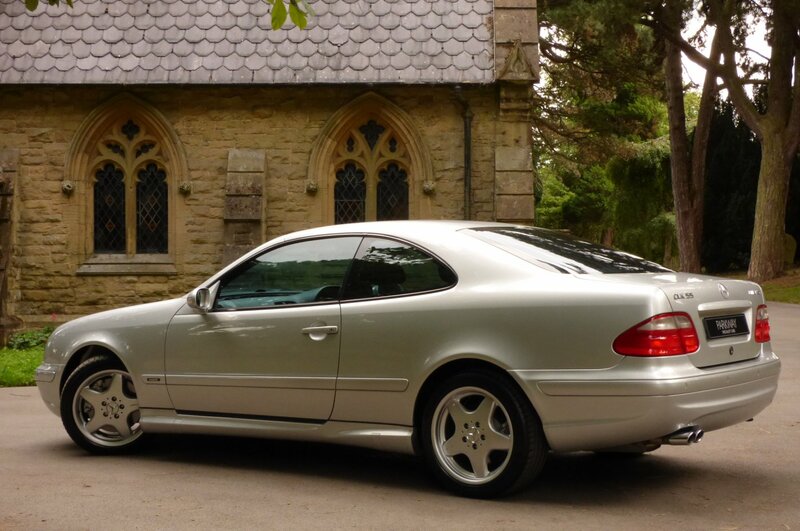 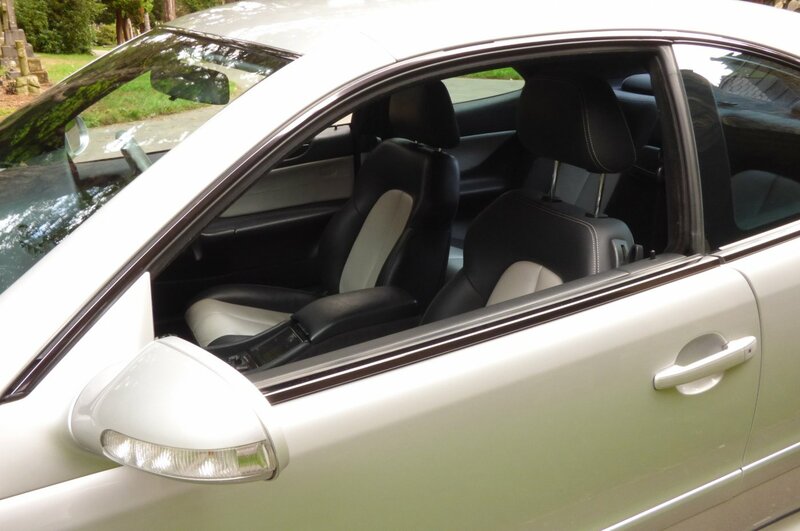 The CLK Was Still Viewed As Being A Bit Of A Bad Boy On The Roads Compared To The Pretty Mercedes Benz SLK, The CLK Was Belligerent And If You Suddenly Found One In Your Rear View Mirror, You Would Automatically Move Over And Let The Brut Pass. 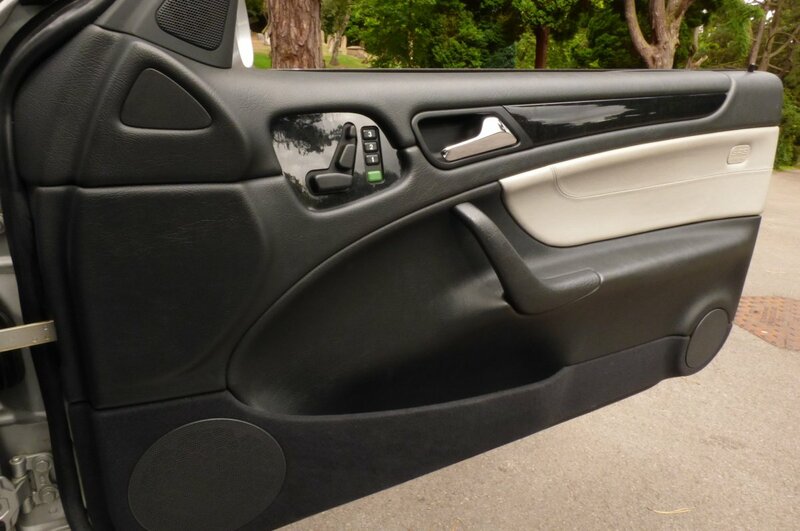 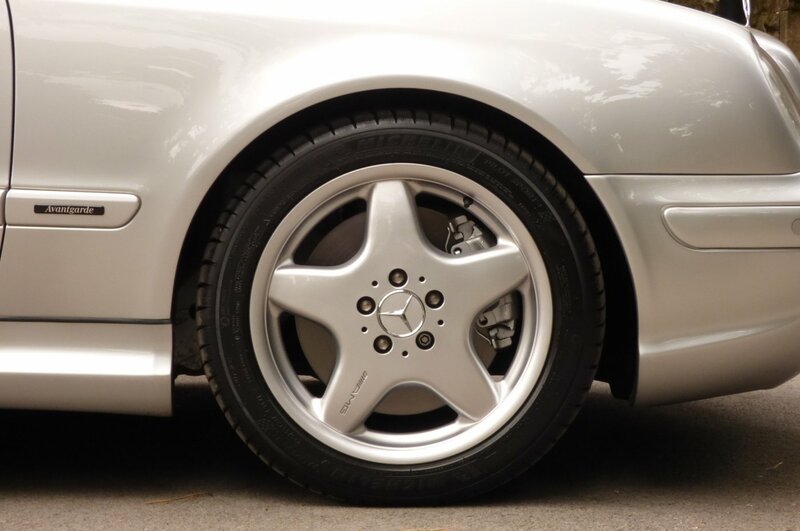 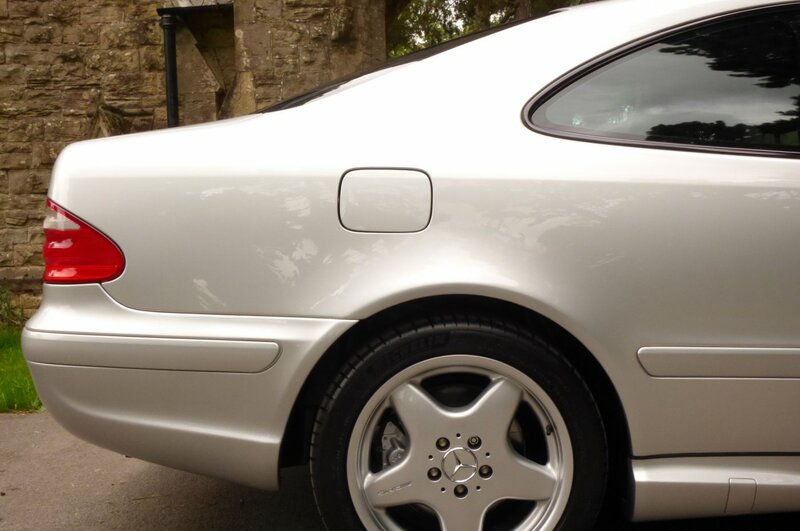 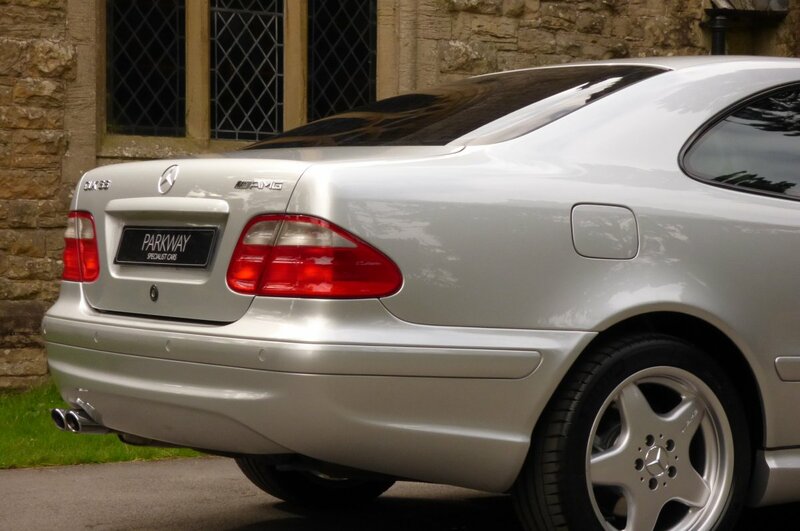 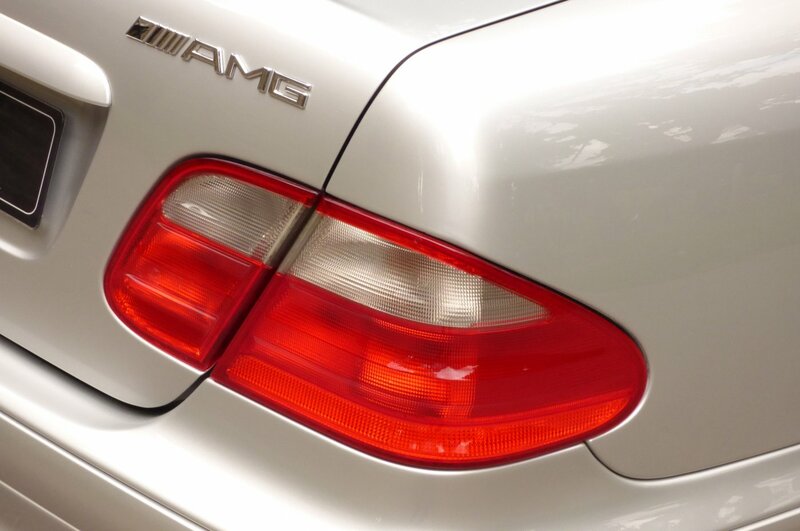 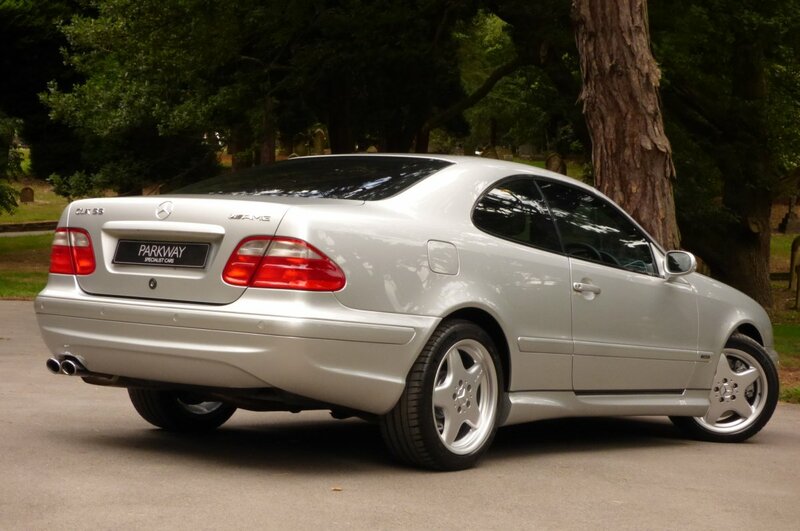 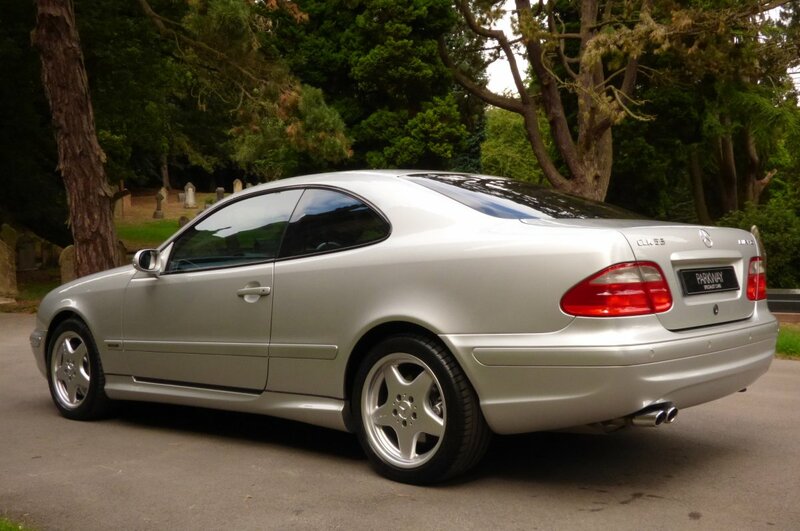 The Mercedes Benz Was Designed To Look Classy, But For Those Who Investigated This Model Further Would Discover That Looks Definitely Was Not All That The Car Could Offer, With A Splendid Array Of Luxurious Refinement And An Excellent Level Of Engine Choices To Include The Mighty CLK55 AMG That Provided Unrestrained Power. 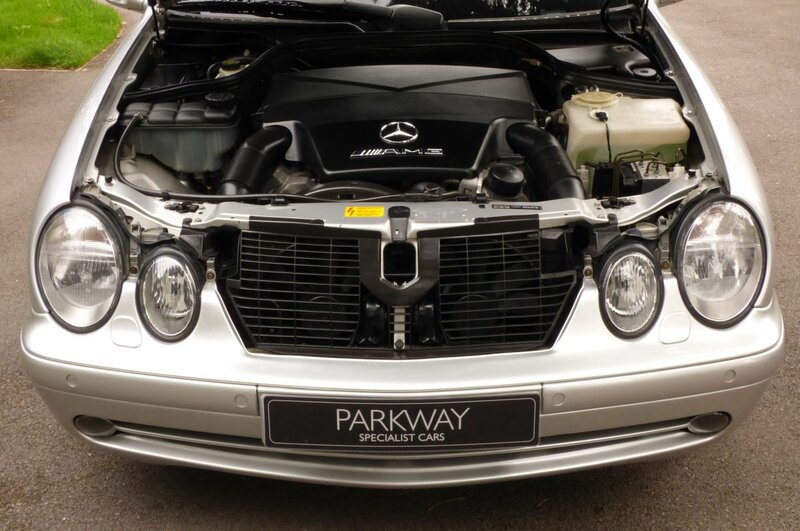 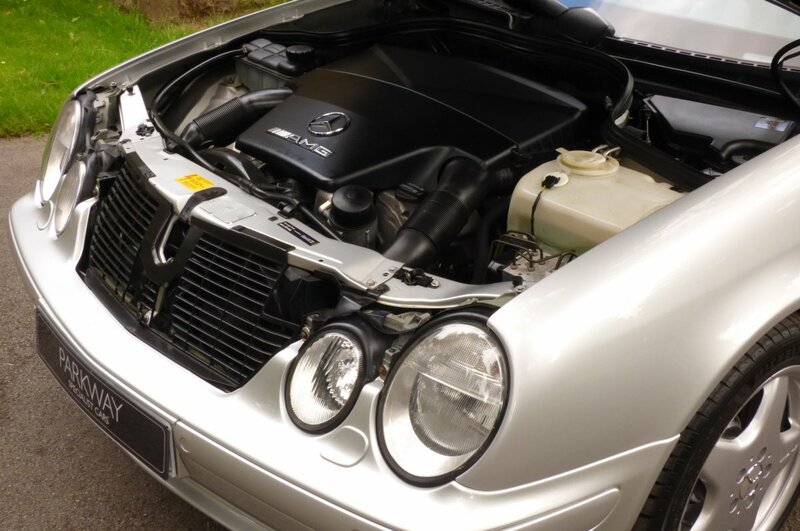 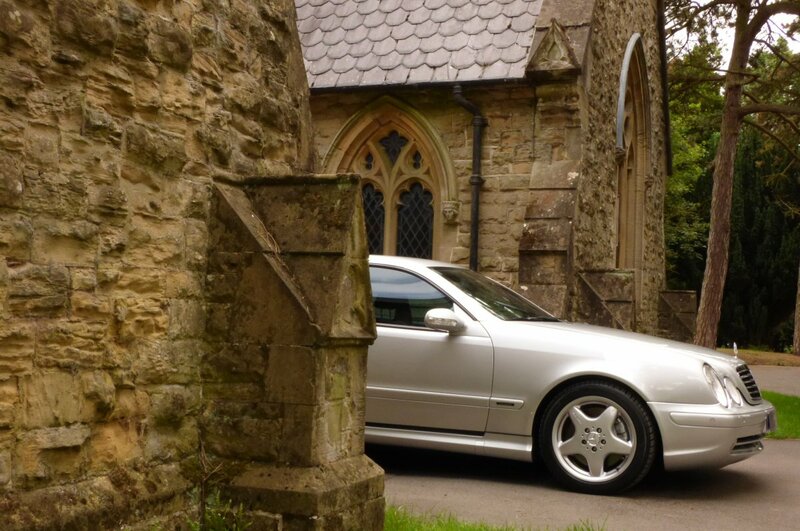 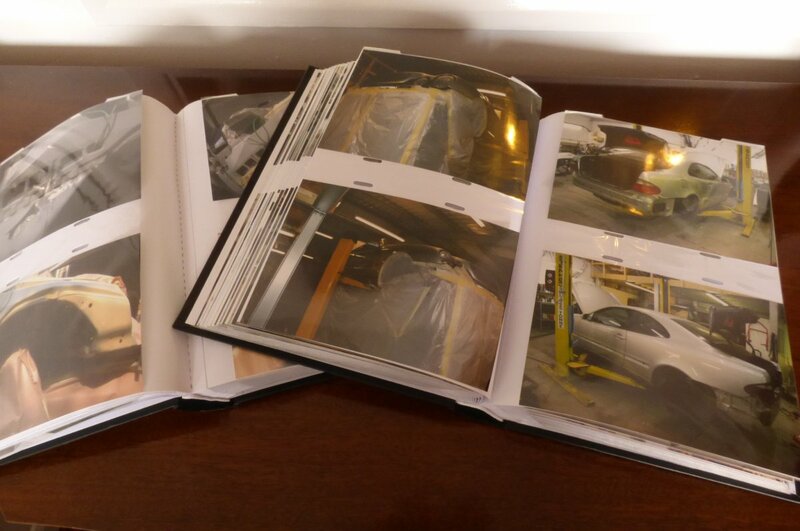 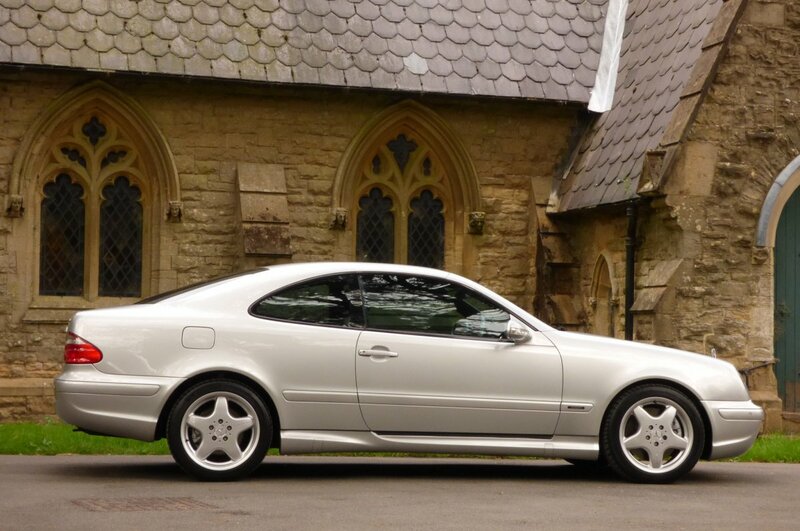 These Exquisite CLK AMG Vehicles At The Time, Were To Be The Top Of The CLK Model Line Up, Of Course Excluding The Rare Black Series And The Limited DTM, With This More Affordable Option To Offer Those Well Healed Clients The Normal Lavish Refinements That Had Become Common Place, But Also A Monster Engine Designed & Developed By The Company`s Performance Sector AMG, Which Also Gave The Driver The Option Of Remarkable Driving Capabilities. 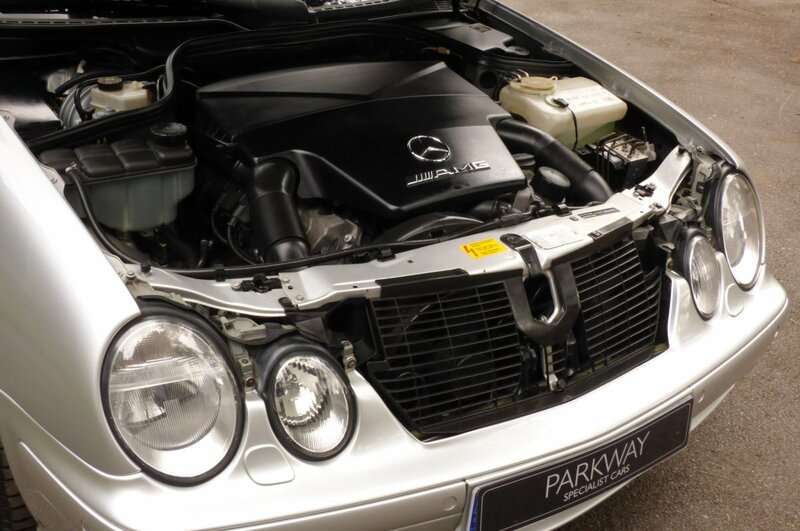 These Stunning Powerhouses Came From The Factory With The Large Five Point Four Litre V8 Engine, Which At Time Of Build Produced A More Than Healthy 347 Brake Horse Power With 380 lb ft Of Torque, Capable Of Accelerating Both Driver And Passengers From 0-62 MPH In An Astonishing 5.4 Seconds And Would Further Glide To An Electrically Limited Top Speed Of 155 MHP, With All This Power Perfectly Controlled By a Slightly Adapted Five Speed Automatic Transmission Found On The Mighty Mercedes Benz S Class V12. 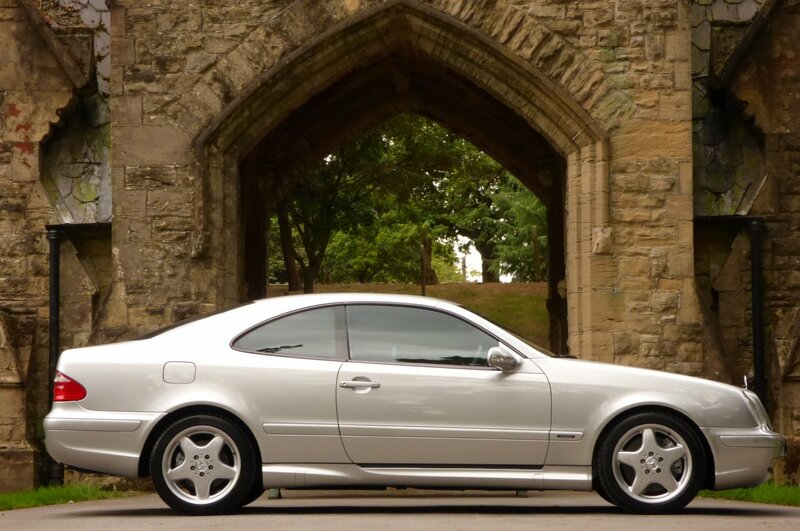 If We Fast Forward To 2018, The Rarer DTM Cars Will Fetch In The Regions Of A Quarter Of A Million Pounds With Good Black Series Cars Going For The North Side Of One Hundred Thousand Pounds, So In The Grand Scale Of Things The Mercedes Benz CLK55 AMG Is Some What Excellent Value For Money, But Still Showing Encouraging Signs Of Having Plenty Of Scope To Further Climb On Values In The Years To Come, Of Course On The Basis That A Perfect Car Can Be Acquired, So With This Chassis Number F159292 Should Be Viewed As Being A Truly Excellent Proposition. 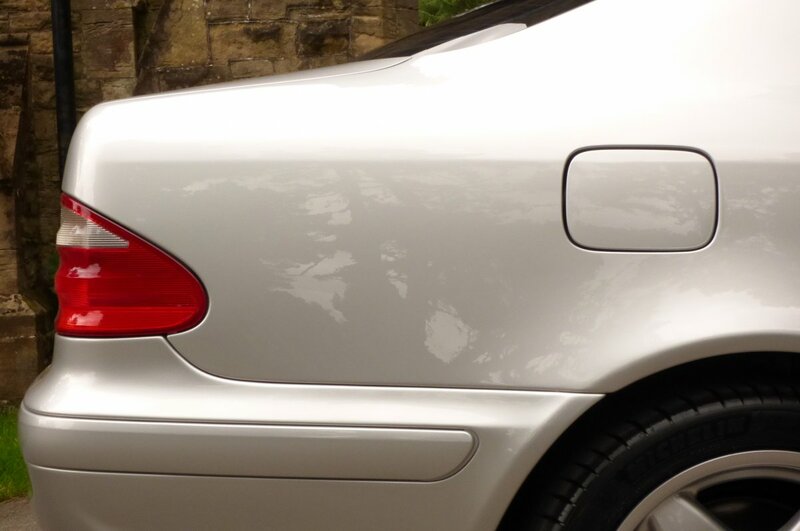 On The Presentation This Example Is Indeed Perfect In Every Conceivable Aspect, Having A Full Total Recommission With Every Element Changed If Not Perfect And This Is Fully Documented With Two Large Files Containing All The Imagery During This Time Consuming Process, Which All Further Adds To The Already Impressive Past History Trace. 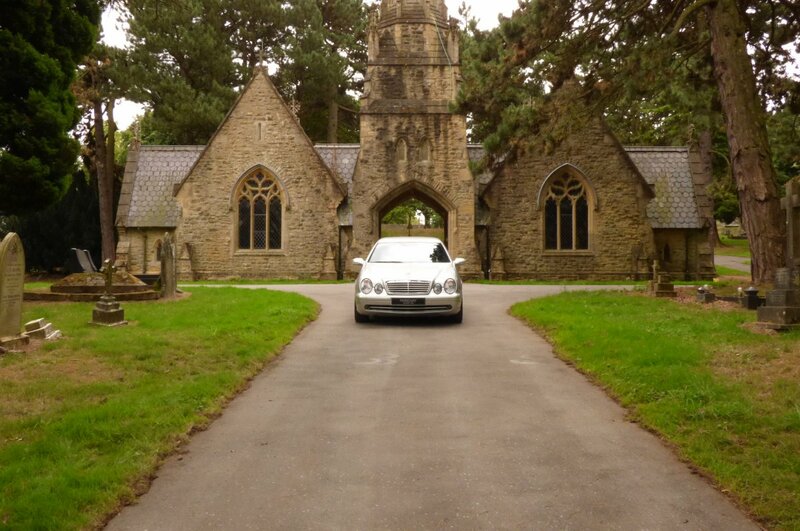 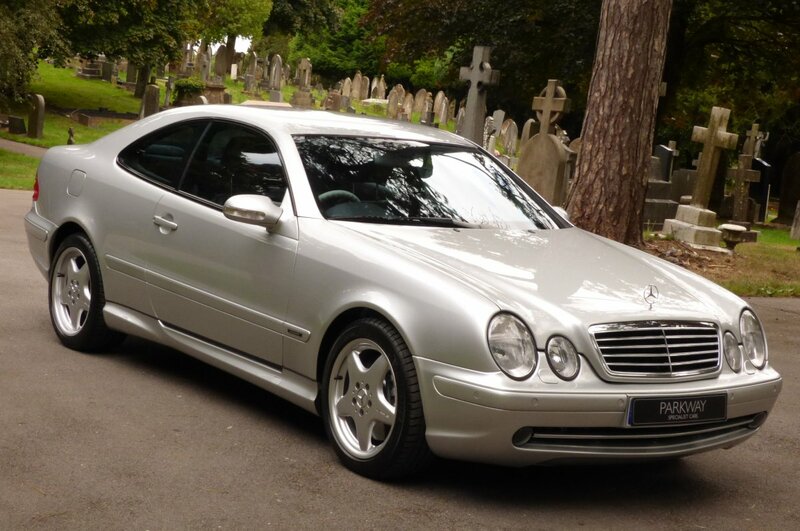 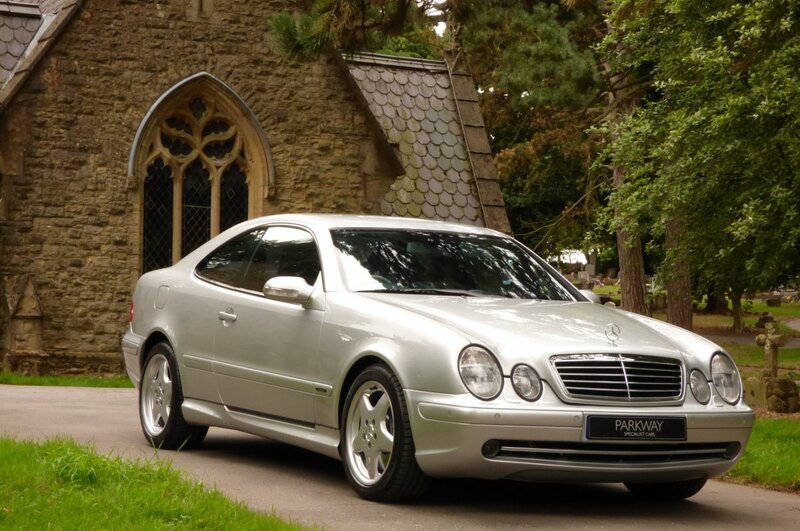 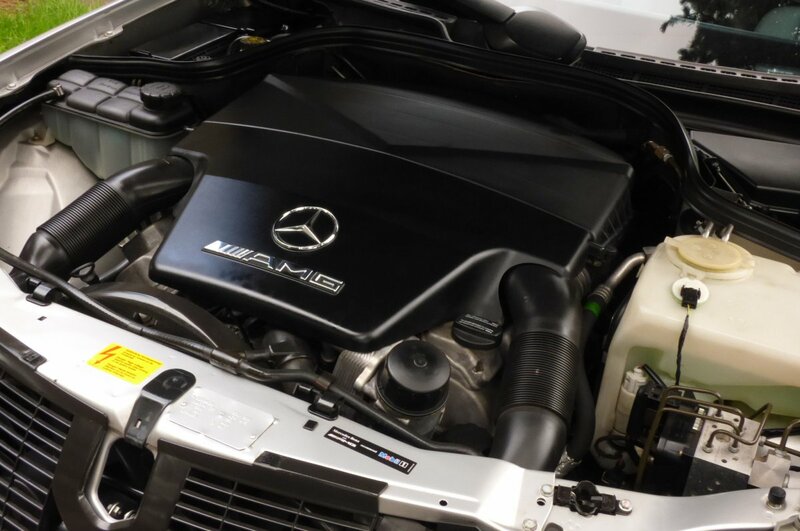 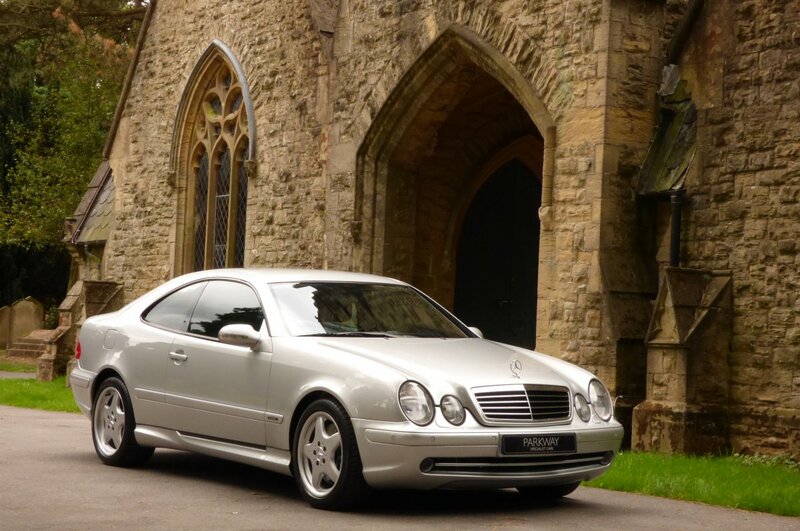 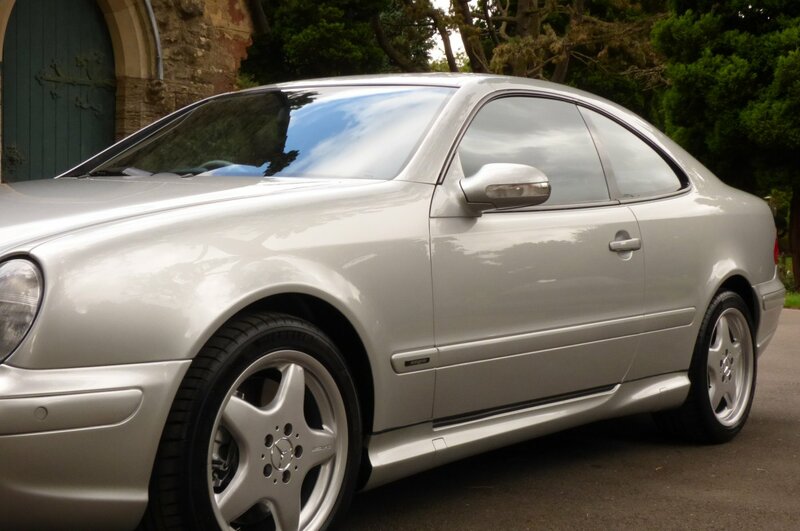 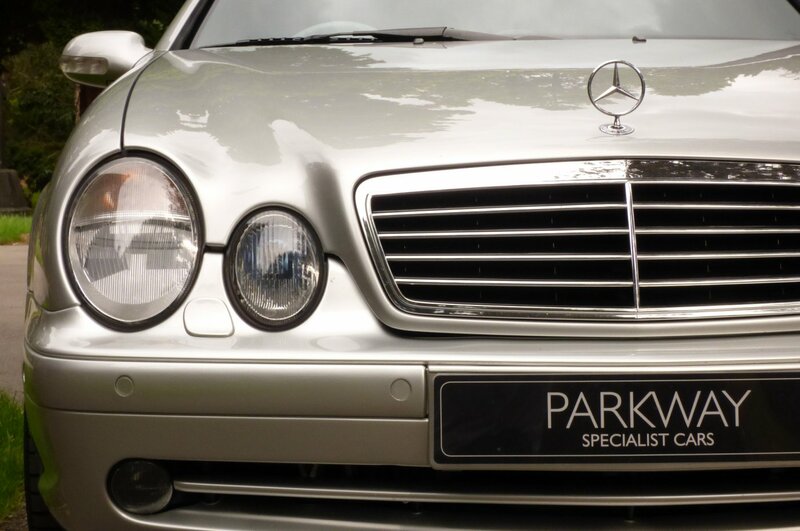 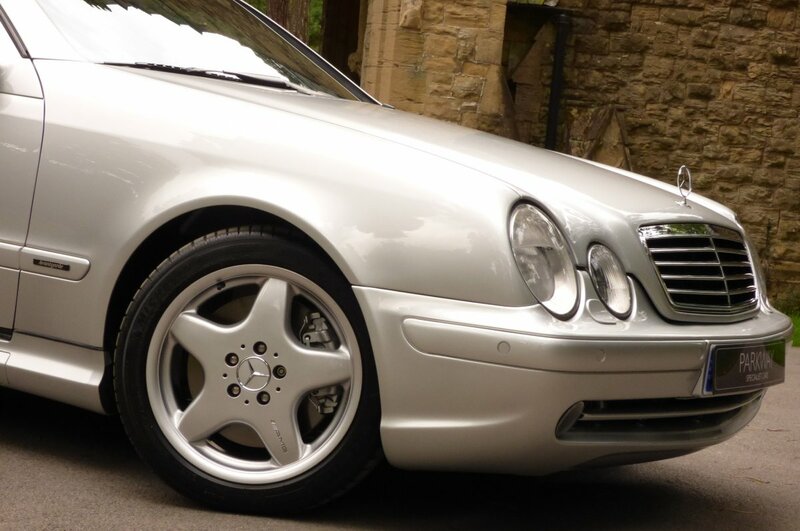 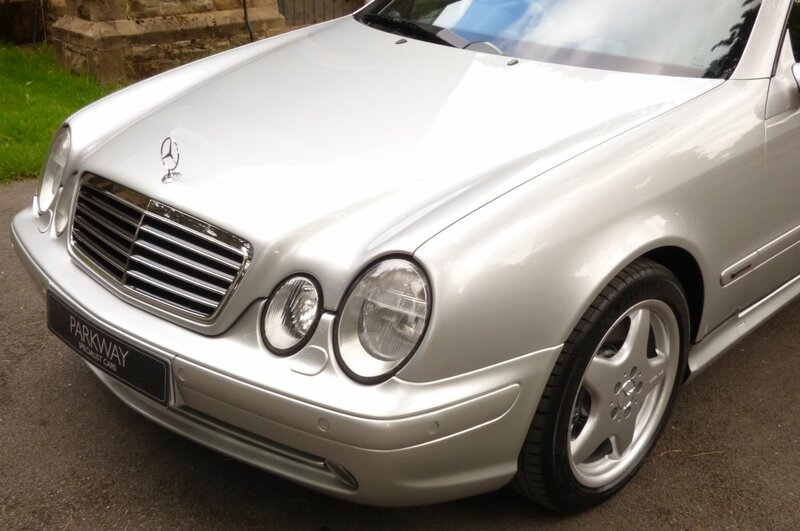 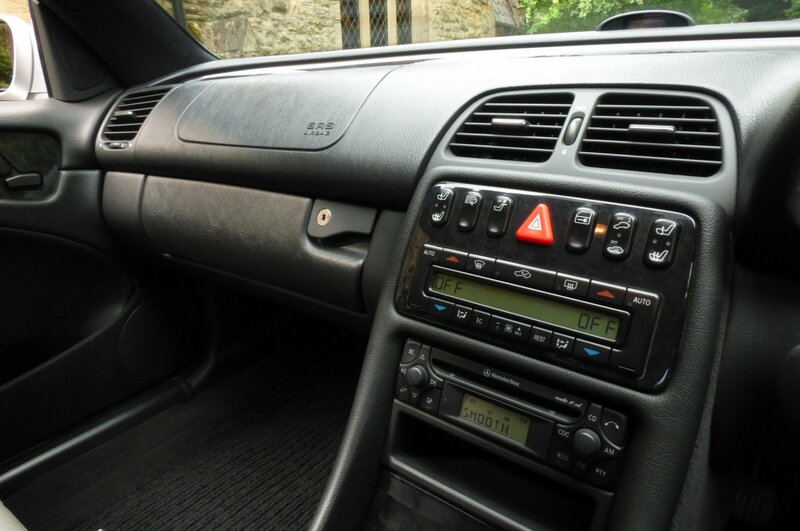 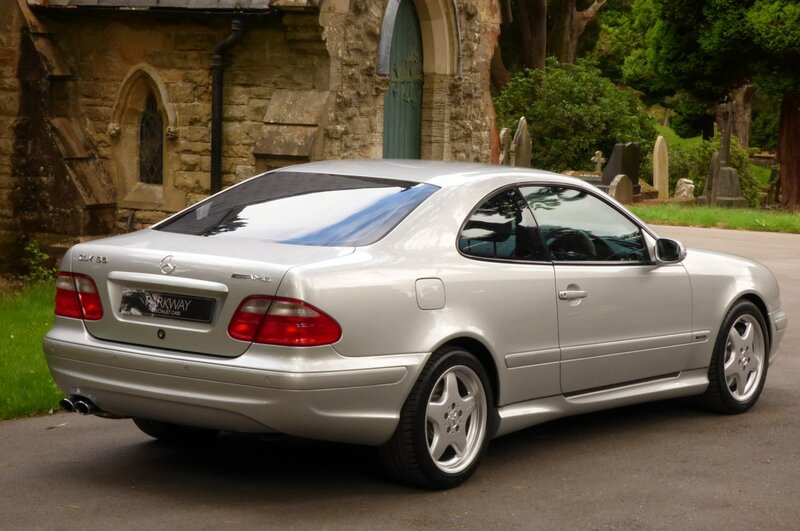 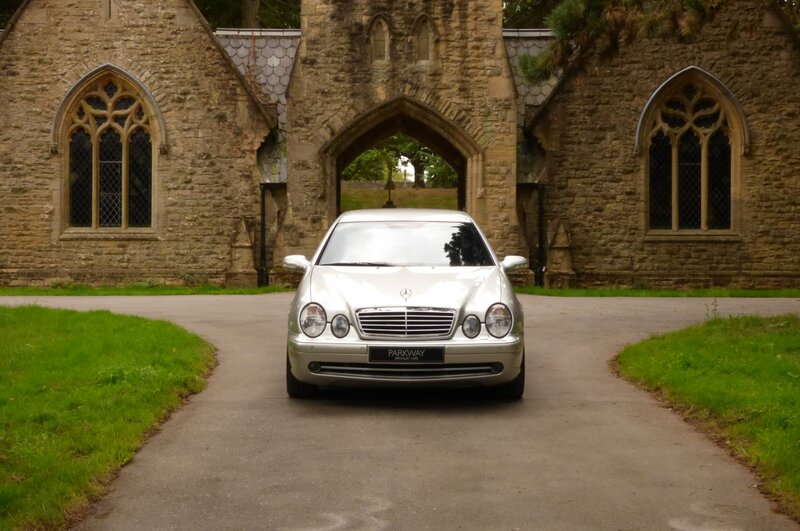 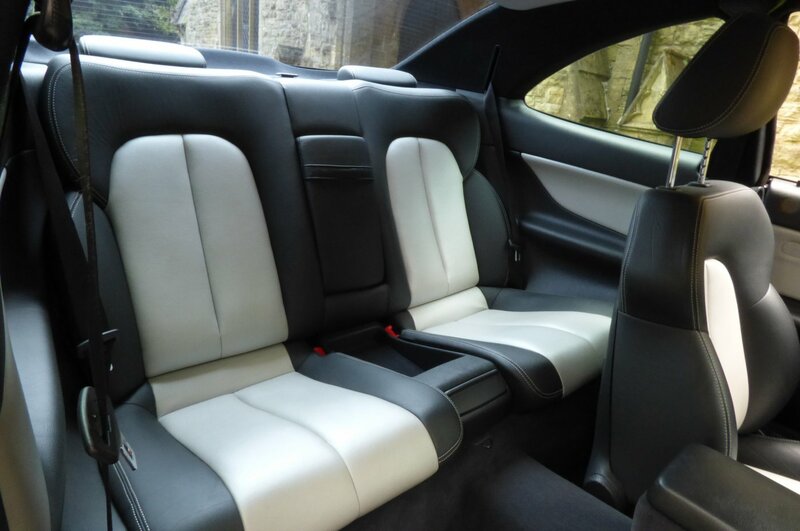 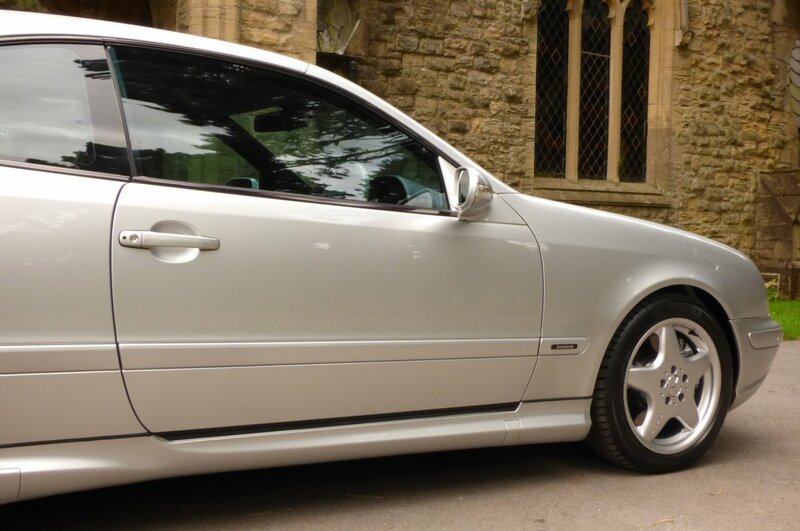 The Car Was First Supplied By Derwent Mercedes Benz Of Chesterfield In The June Of 2000 And Since This Date Of First Registration The Vehicle Has Had Just Three Private Keepers From New, With The Last Collector Acquiring The Car In The February Of 2017 From Ourselves, With A European Relocation Being The Only Reason Why This Fabulous Car Has Been Relisted For Sale. 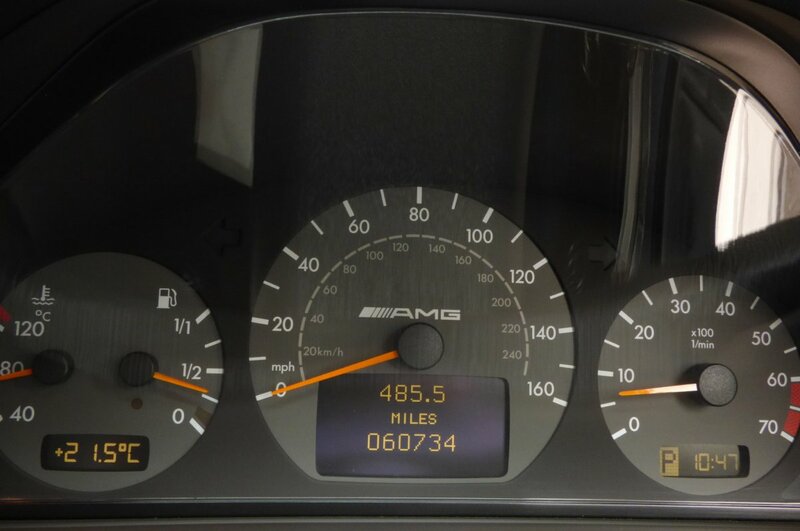 Over The Last Eighteen Years This CLK55 AMG Has Covered Just 60734 Miles, To Which If We Break This Down Further Is Approximately Just 3378 Miles Per Annum, However Regardless Of This Sensational Current Mileage Reading The Car Has Been Maintained To An Extraordinarily High Standard With Historical Service Visits Completed At 6364, 11943, 24512, 35053, 42059, 50978, 55057 & 57043 Miles, With This History Trace Further Strengthened By A Highly Extensive Past Invoice File, Which Will Increase The Cars Desirability To That Next Keeper Or Collector. 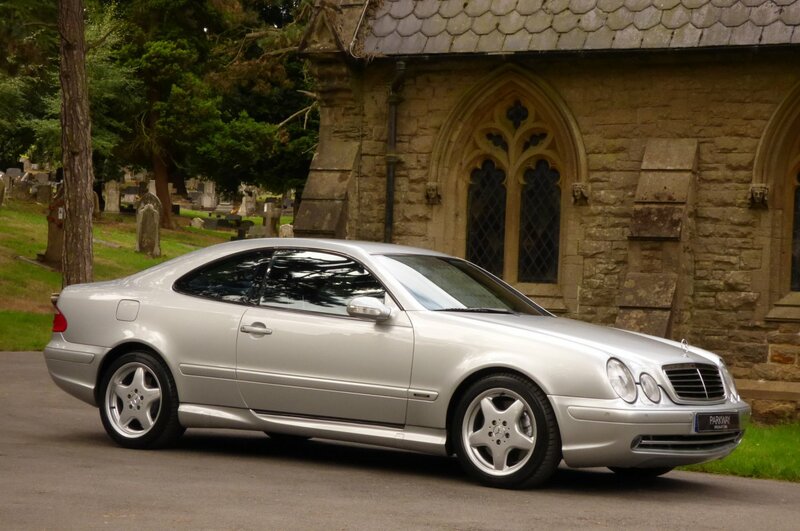 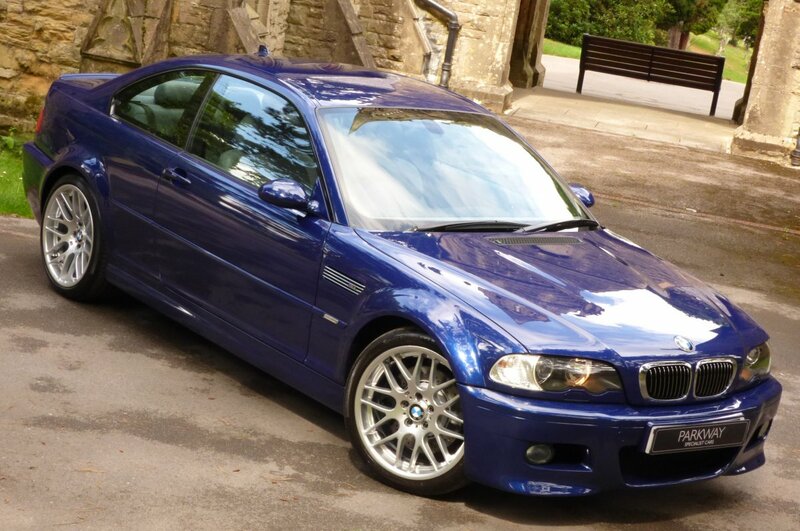 Once Sold We Will Be Delighted To Offer The Car With The Entire Booklet Pack Set, An Original Bill Of Sale From Derwent Mercedes Benz, A Full Factory Build Sheet, The Original Sales Literature For Both CLK & AMG, A Fully Cleared Hpi Certificate And A Fully Functional Key Set To Include The Unused Master Key Blade, With All This Items Fully In Place For The Next Keeper To Enjoy And Cherish During Their Own Time Of Ownership. 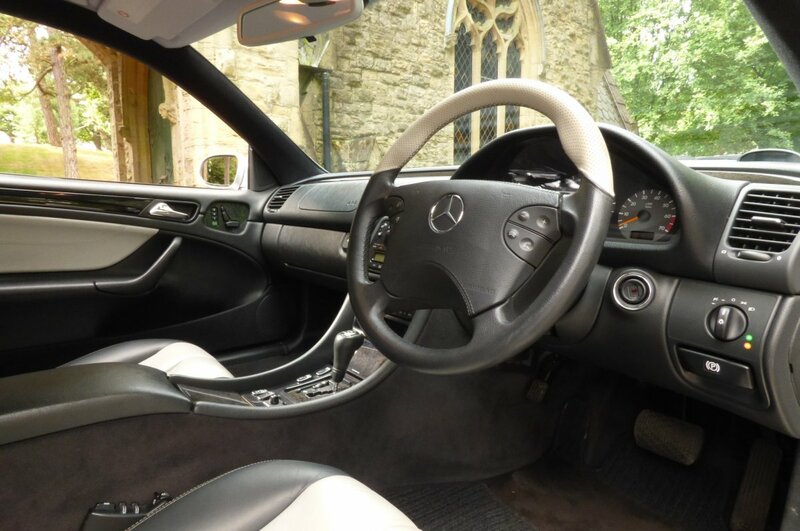 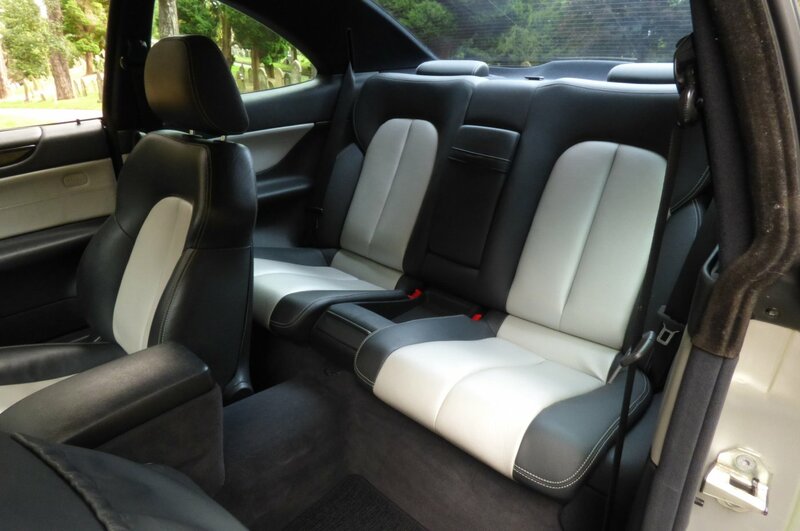 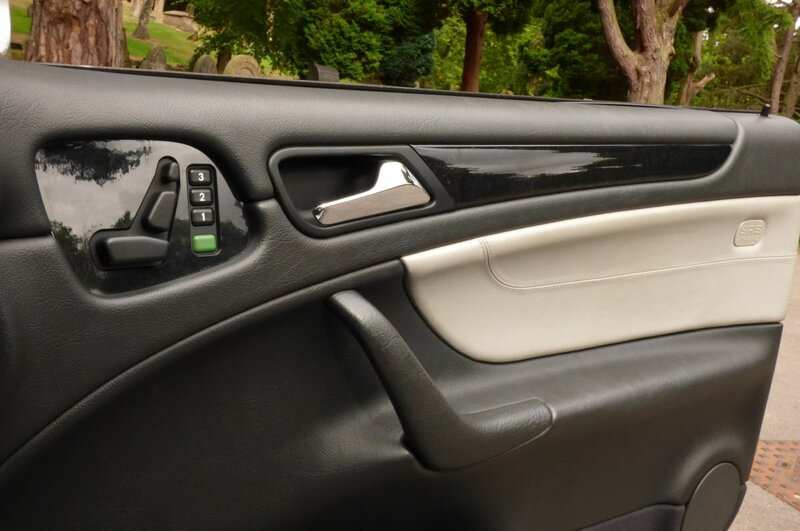 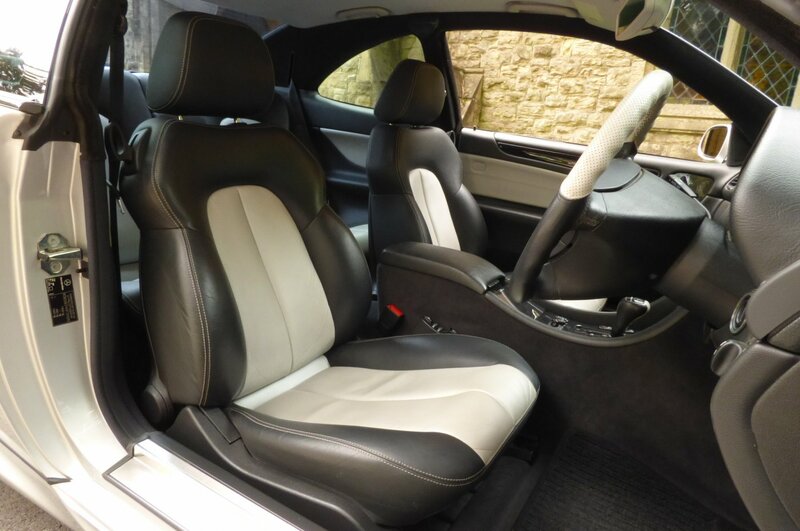 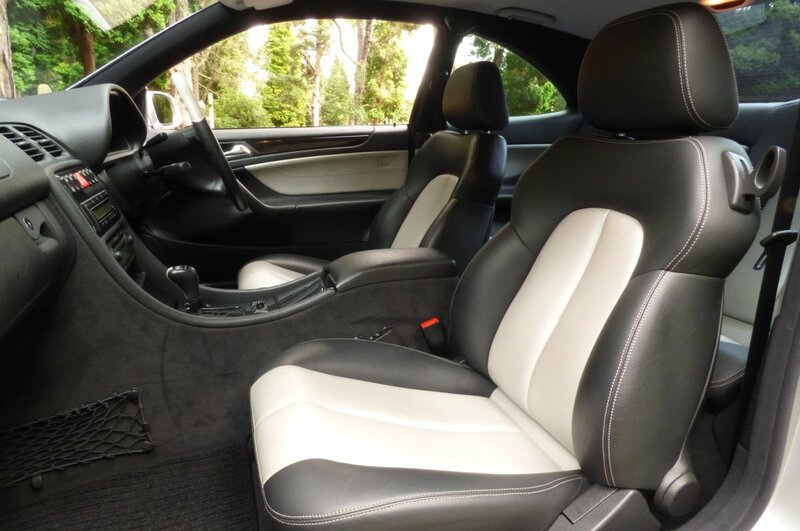 The Interior Offers That Perfect Blend Of Luxurious Refinements Decorated With Exciting AMG Detail, That You Would Struggle To Grow Tired Of, With Every Journey Now Being More An Adventure Than A Chore. 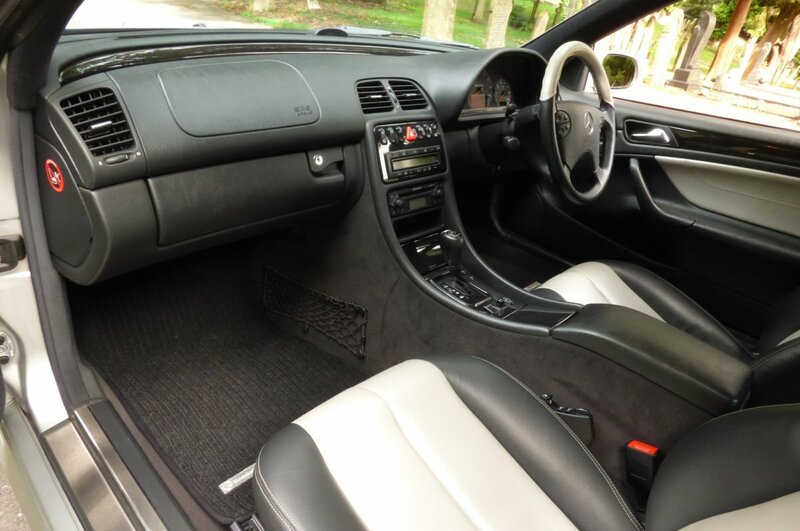 From Factory This Example Was Opted With The Two Tone Anthracite Black & Orion Grey Leather Sport Seating Beautifully Complemented With Silver Twin Needle Stitch Detail, Black Carpets That Have Been Protected From New With Mercedes Benz Embossed Over Mats, The Black Soft Textured Drivers Centre Tunnel, Light Grey Fabric Roof Lining, The Black Soft Textured Dash That Wraps Around This Inviting Cabin Space, Two Tone Anthracite Black & Orion Grey Leather Trimmed Door Cards, Mercedes Benz V8 Embossed Aluminium Internal Sill Kick Plates, Anthracite Black & Orion Grey Leather Bound Four Spoke Multi-Function Steering Wheel And Finished With Polished Birds Eye Maple Veneer Inlays, That Complete This Remarkable Presentation. 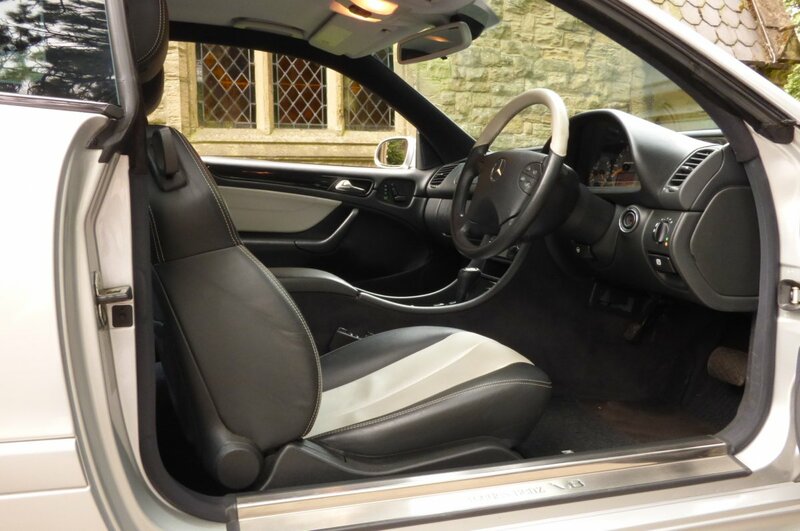 Chassis Number F159292 Also Has An Excellent Array Of High End Technology, Meaning That Every Trip No Matter The Distance, Is Highly Enjoyable And Effortlessly Controlled. 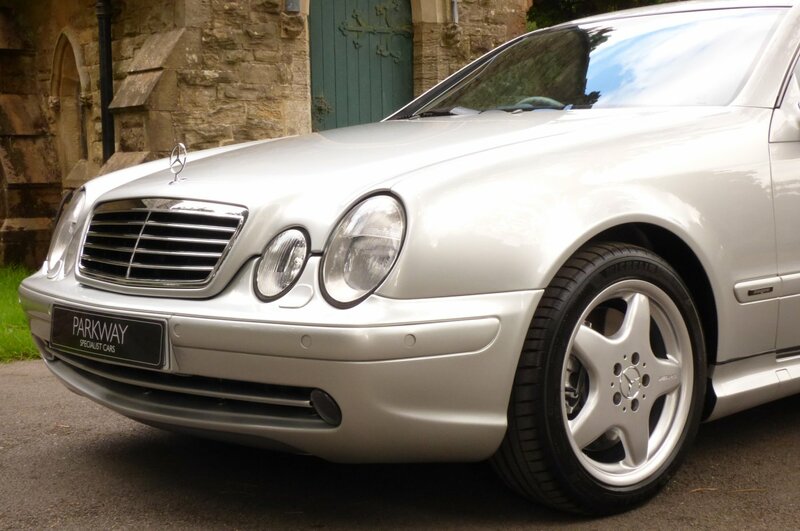 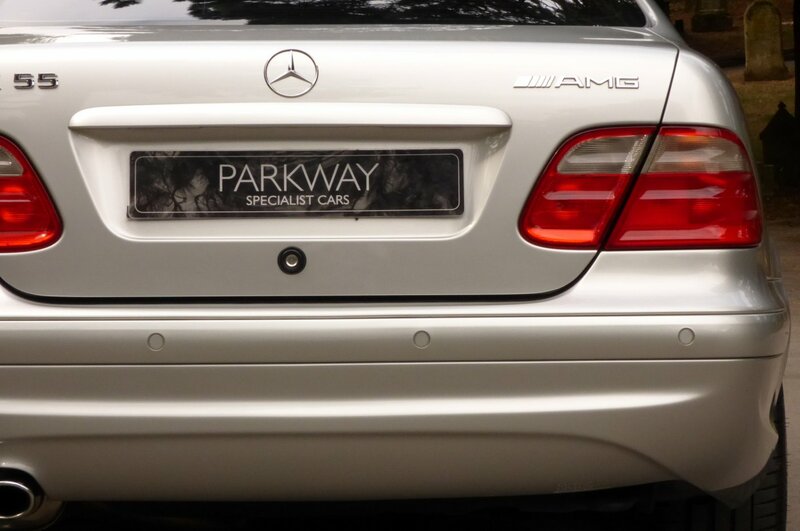 The Elegant Body Is Presented In The Brilliant Silver Metallic (744U), With This Colour Perfectly Showcasing Those Signature Mercedes Benz Lines And Powerful AMG Curves, With The Total Finish Being Described Correctly As A Totally Unmarked Flawless Example. 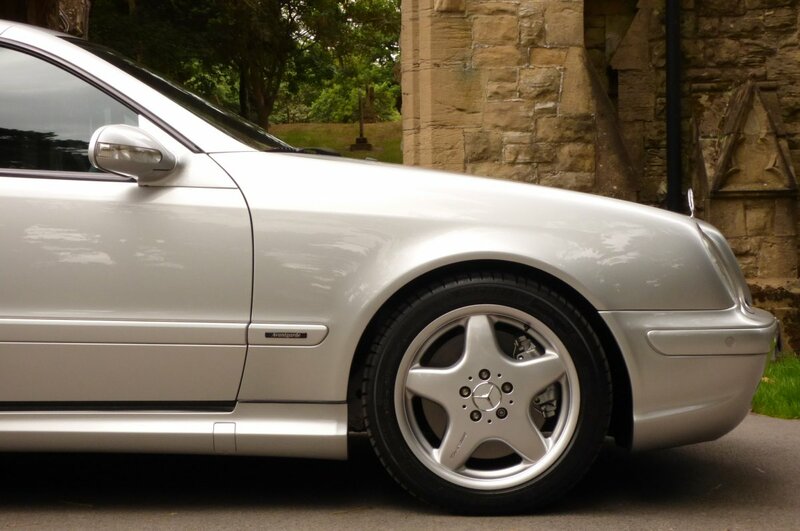 Further Exciting Detailing Is Further Complemented With Unmarked Silver Finished 17" AMG Embossed Five Arm Alloy Wheels Which Are All Wrapped On Branded Tyres, The Gradual Tint Sun Protection Privacy Glass, Body Colour Coded Door Mirror Cases, Twinned Chromed Tipped AMG Exhaust Pipes, Colour Coded Sport Side Sills, Bright Silver Brake Calipers, Colour Coded Boot Lid Handle, Chromed Horizontal Front Grille, The Three Pointed Star That Dominates The Nose, Blackened Avantgarde Front Wing Motifs, The Signature Twinned Oval Front Lights And Presented With The Powerful AMG Badges To The Rear, That Signify The Cars Remarkable Capabilities. 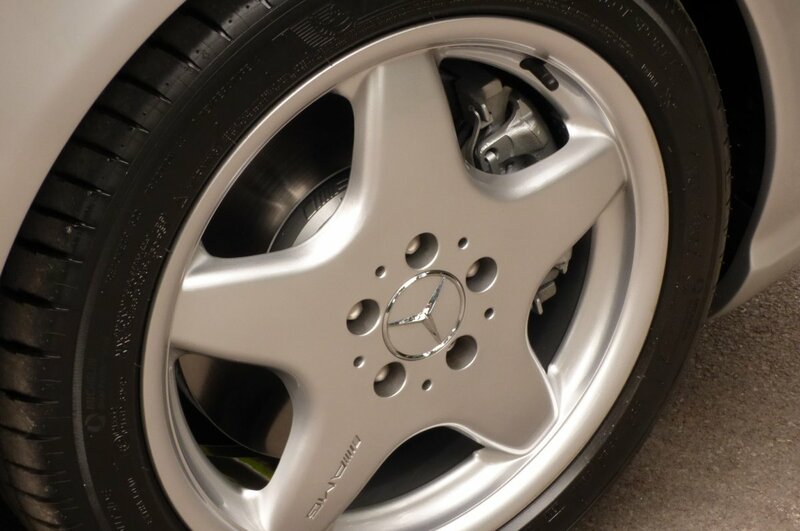 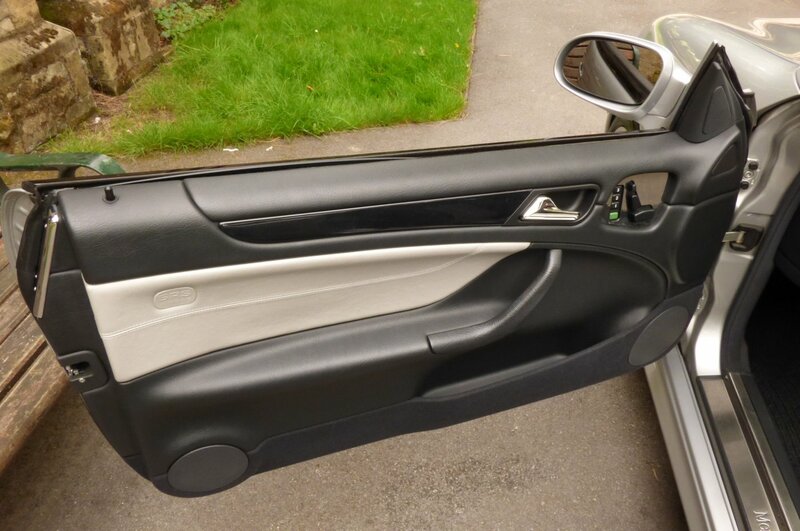 From Every Given Angle In This Unrepeatable Condition, This Mercedes Benz Is Staggeringly Beautiful And Would Be Well Suited In A New Or Already Established Worldwide Vehicle Collection, So If Shipping Is Required, Then Please Speak To Our Dedicated Sales Team Today To Discuss Your Own Personal Requirements. 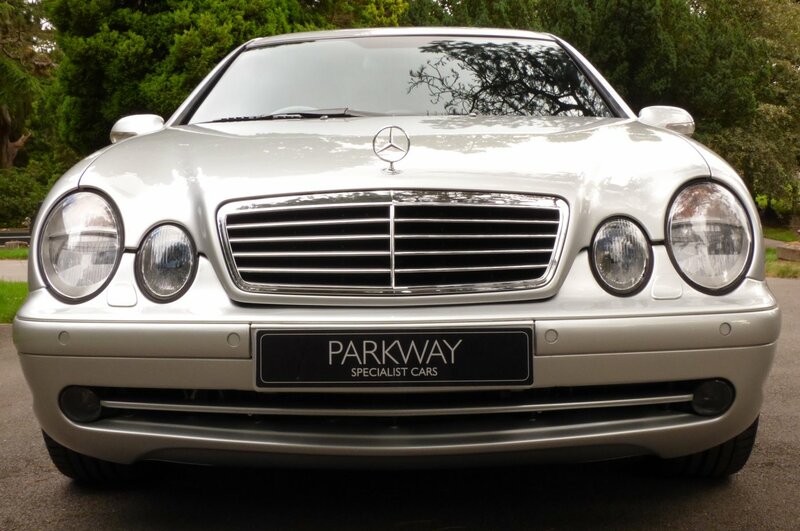 We Are Delighted To Offer For Sale This Remarkable Find With Options To Include Dual Zone Climate Control, Cruise Control, Xenon Headlights With Power Wash Function, Electric Front Seating With Memory Function, Front And Rear Parktronic System, Mercedes Benz Audio 10 CD System, Electric Folding Mirrors, Multiple Air Bags To Include Door Card Air Bags, Unmarked Silver Finished 17" AMG Embossed Five Arm Alloy Wheels, Electric Seat Lumbar Adjust, Chromed Twinned AMG Exhaust Pipes, Further AMG Exterior Detailing, Sun Protection Privacy Glass, Remote Central Locking With Alarm, Indoor Car Cover, Electronic Stability Programme, Heat Insulating Glass, Factory 8 Speaker Loud Speaker, Split Folding Rear Seating And So Much More. 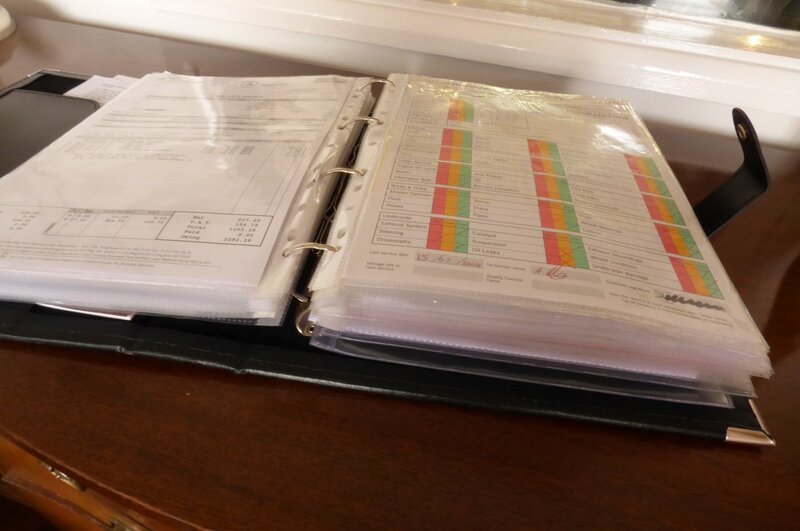 Presented With The Entire Booklet Pack Set, A Fully Cleared Hpi Report And A Fully Functional Key Set.